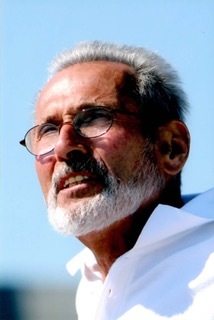 Thomas J. Cannizzo, Sr., 78, of Barnegat, and formerly of East Hanover, passed away peacefully surrounded by his loving children on April 8, 2019. Tom is a US Army Veteran. He earned a Bachelor of Science in Business followed by an MBA from Seton Hall University. He worked nearly 50 years as the Director of Capital Projects at Schering-Plough in Kenilworth, retiring in 2001. He was a dedicated East Hanover Town Councilman and a respected community member. Tom relished special times with his 7 grandchildren and family. He found great peace being at the Shore. Beloved husband of 45 years to the late Dorothea “Dottie” Cannizzo. Devoted father of Thomas J. Cannizzo, Jr., his wife Kelly, Elisa Kinsman and her husband Patrick. Cherished grandfather of TJ, Brandon, Nicholas, Ethan, Holden, Anthony and Seth. Dear brother of Matthew F. Cannizzo and his wife Cathy of East Hanover. He is predeceased by his parents, Frank and Grace (Scola) Cannizzo. Visitation at the Leonardis Memorial Home 210 Ridgedale Ave., Florham Park on Friday from 4-8pm. Funeral on Saturday assembling at the funeral home at 9am followed by the funeral mass at Holy Family Church in Florham Park at 10am. Interment at Gate of Heaven Cemetery in East Hanover. In lieu of flowers, donations can be made to the United Services Organization by visiting www.USO.org.